COLORFUL is a stylish WordPress Blog Theme which is totally Free and Innovative. You can use the theme for your colorful Presence. 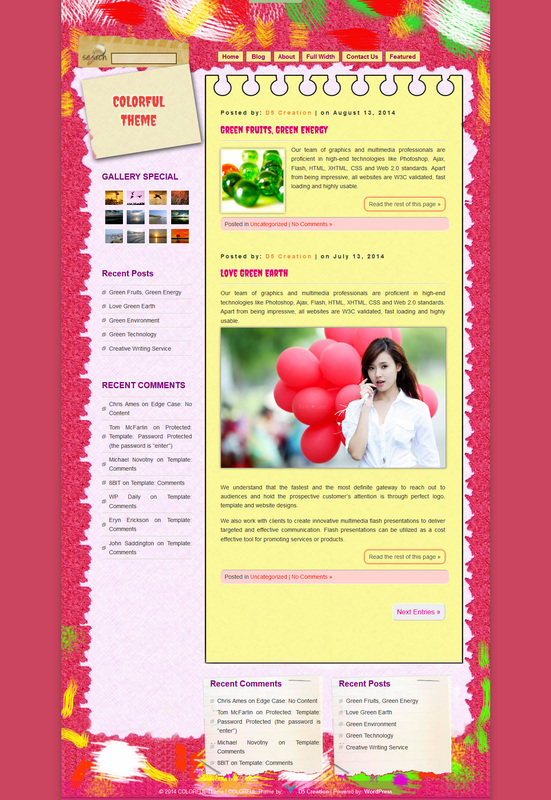 COLORFUL is a simple blog theme with colorful background and designed with colorful ancient matters. It is a FREE theme developed from D5 Creation (www.d5creation.com). You can use this theme for your blog. Left and Footer Sidebar will show your WidGets. VIEW DEMO SITE DOWNLOAD FREE Version! Do you need Temes for CORPORATE Business? You may like the CORPORATE Theme. CORPORATE has come with 07+1 Color Schemes. Click the Image and Read Details.